The Quantum electrodynamics (QED) view on light. 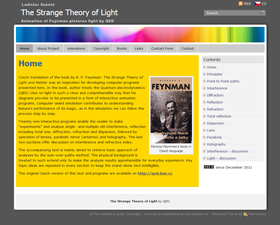 Twenty-one interactive programs enable the reader to make “experiments” and analyse single- and multiple-slit interference, reflection including total one, diffraction, refraction and dispersion, followed by operation of lenses, parabolic mirror (antenna) and holography. Prompt calculation of circle on-line. 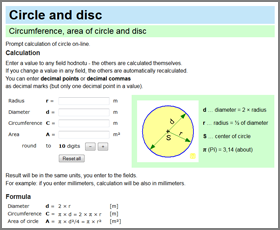 Calculate quickly circumference or area of circle. It does not matter whether you enter radius or area of circle. Our calculator calculates it immediately.